The makers of Blackmail have shared the first dialogue promo of the film which has a very unique titled called Aaj Ek Joke Sunata Hu. 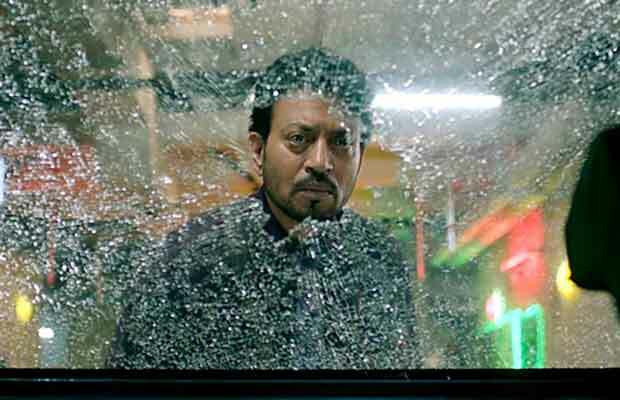 The dialogue promo features a drunk Irrfan Khan narrating his life tragedy to his friend. It showcases Irrfan’s character resorting to blackmailing when he sees his wife in bed with her lover. Blackmail highlights the paradigm shift of behaviour and consumption pattern of the audience, who have a more liberated approach towards the entertainment industry. Irrfan starrer ‘Blackमेल’ has piqued the interests of the audience with its unusually quirky and interesting comic trailer and posters. The earlier released songs titled Happy Happy and Patola have also garnered a positive response from audience across quarters. The film features a power-packed ensemble cast of Irrfan, Kirti Kulhari, Divya Dutta, Arunoday Singh, Omi Vaidya, Anuja Sathe, Pradhuman Singh Mall, Gajraj Rao. ‘Blackमेल’ is director Abhinay Deo’s second quirky comedy after the Aamir Khan Productions’ Delhi Belly. The filmmaker is back with yet another quirky, irreverent, situational, on the move comedy.